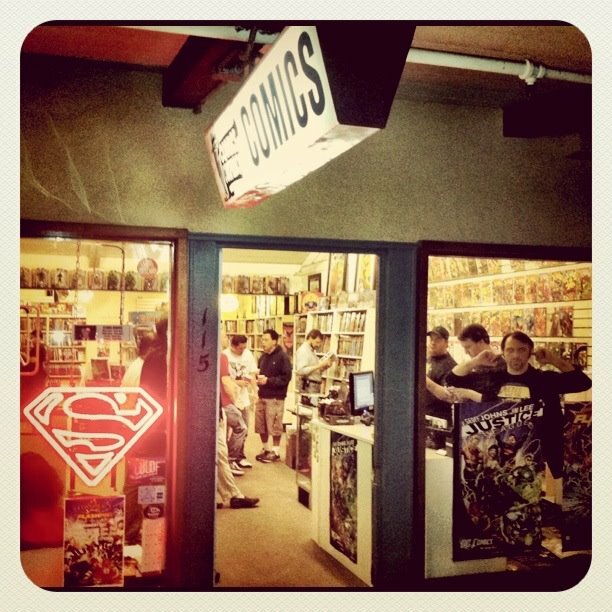 The week of Christmas and it is a large week for comic books. I know it doesn't show on my pull list, but Marvel had a lot of big titles ship this week (unlike last week where most of the books on the wall were mini's), so hopefully you have some money left over from all of your Christmas shopping to get your fix this week. I'm going to be enjoying Justice League, Batman, Red Hood an the Outlaws, Green Lantern Corps, and Catwoman this week as is Calli. She loves Catwoman. It has become her favorite book out of the "New Rejiggered 52" and I'm glad she gets her fix right before Christmas. Speaking of Christmas, Fables has an over-sized holiday issue out today that I am curious to read since it is the only holiday book I will have picked up this season. This week I am giving the Star Wars: Agent of the Empire a shot because the art looked good and it is written by John Ostrander; so I hope I going a dose of Star Wars lore in my pull list now. Overall though this week looks to be a good one for comic books, but Amazing Spider-Man is again on the chopping block, because they break the fourth wall on the cover and the creative team is writer Dan Slott and artist Humberto Ramos the duo who gave us horror that was Spider-Island. If I end up chopping Amazing Spider-Man I will have only a few Marvel titles on my pull list. I want to be upset about this, but Marvel has sucked so bad for the past couple of years that I wonder why I should care at all, they obviously don't. Anyway, all they negative vibes aside have a wonderful Christmas! God you're such a drama queen. Spider Island was good despite the junky Ramos art. ASM was better than most of the absolute garbage you read from DC every month. Legion? Grifter? Deathstroke? God you read so much horseshit and yet you fling crap at Marvel while ignoring all the actual good books they put out every week. You and Higgins are running some kind of cult over there and it's sickening. I've been mostly enjoying ASM since Brand New Day, but some creative talents or story arcs have been real downers for the title(Quesada, Bachalo, Ramos, to name a few). I enjoyed Slott and Ramos during Big Time, but Spider-Island wasn't as good and it wasn't a cross over event and yet the rest of the Marvel Universe seemed to be infected with this bad story. And finally I am getting tired of the $3.99 price point for ASM especially since it ships multiple times per month. As to the garbage I read from DC...Grifter has been an okay title nothing great, but I like the character. Deathstroke was great at the beginning and then floundered, but now is back on some track. And as for Legion you either like Legion or you don't. And I'm curious...What Marvel titles am I ignoring that are "actual good books"? I'm pretty sure Higgins and I are not running a cult. We just enjoy reading material that is enjoyable and an actual good read. DC has the quality right now. Marvel not so much.